The Dodgers announced they have flipped infielder/outfielder Tim Locastro to the New York Yankees in exchange for minor league right hander Drew Finley. Locastro was one of three players the Dodgers recently designated for assignment in order to clear roster space to protect several prospects from the rule 5 draft. Locastro is 26-years old and appeared in only 21 major league games for the Dodgers over the past two seasons. Locastro is a terrible major league hitter so this is not much of a loss to be honest. 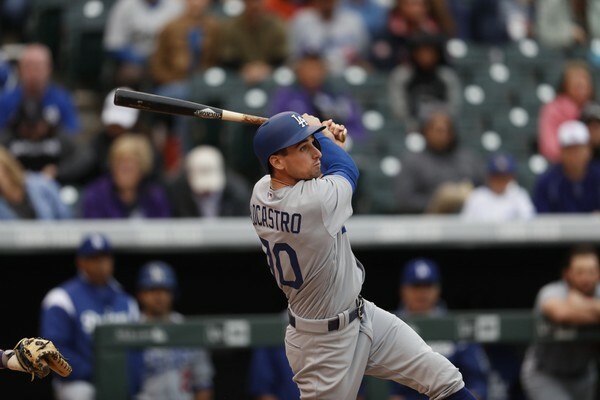 Locastro slashed just .182/.357/.273 (2 for 11) with four stolen bases in 14 major league plate appearances for the Dodgers in 2018. Despite putting up decent numbers at Oklahoma City (.279 18 steals), he never provided much value at the big league level. To be fair his results were a very small sample size. Locastro is a career .292 hitter in the minors with 28 home runs and 162 stolen bases over his six year minor league career. Today, the Dodgers acquired RHP Drew Finley and cash considerations from the New York Yankees in exchange for INF/OF Tim Locastro. Locastro saw time in left and center field but his primary job was as a pinch-runner and utility player. Locastro originally came over in a trade from the Blue Jays along with Chase De Jong for two international bonus slots in 2015. As for Drew Finley, he’s just a placeholder for a roster spot at the moment. Finley has never made it above single-A ball and posted a 7.24 ERA across 27.1 innings pitched for the Staten Island Yankees, New York’s single-A affiliate of the New York-Pennsylvania league. Finley has pitched the last three seasons for Staten Island posting a career 5.48 ERA and striking out 9.7 batters per nine. Finley issued 20 walks over his 27.1 frames in 2018 while while striking out 30. Finley has tossed 120 innings Between Staten Island and the Yankees Appalachian League affiliate. The 22-year old Finley was a third-round draft pick back in 2015. Locastro’s biggest asset was his speed. Otherwise he was nothing special. He will not be missed. If he was all that, he would have made the team a lot earlier. Also he is 26 years old. So he is not that advanced for his age. You’re basing your judgement on 14 plate appearances? He never really got much of a chance, did he? I can’t help thinking he couldn’t have been much worse than Forsythe. But we got another sore-armed pitcher so it’s all good. That’s based on his minor league stats and the fact that he was playing the outfield more than he was the infield. He was listed as an infielder but was spending a majority of the time in center field. And how was he going to get any kind of chance with the Dodgers? He was way down on the depth chart. I doubt he will even make the Yankee squad. 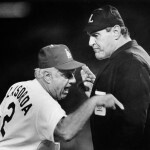 He is AAA fodder for them the same way he was AAA fodder for the Dodgers. It is a warm body exchange, that’s all. Neither of those guys will impact the teams they went to.